The community have certainly been working hard to bring you some fantastic Gameweek 14 ccontent to help with preparations. Just 48 hours separates the consecutive gameweeks. 1. FPL Updates have the Gameweek 14 content preview with predicted scores for every single game. 2. FF Surgery look at every game in the podcast, to help you navigate the busy schedule. ?️?78th EPISODE OF THE FF_SURGERY PODCAST!!!?️? 3. FPL Army has identified a defender with good points potential. £4.4m defender playing wing back. 22 points in the last 2 games ? 4. Chelsea are emerging as popular transfer targets. A certain man in particularly seems to be stealing the headlines. Should we be more cautious before loading up with Chelsea attackers though? 1. Many faced with the choice of either Hazard or Morata. Here’s a thread on what I think. If you’ve got both, good for you (though which one do you captain?). 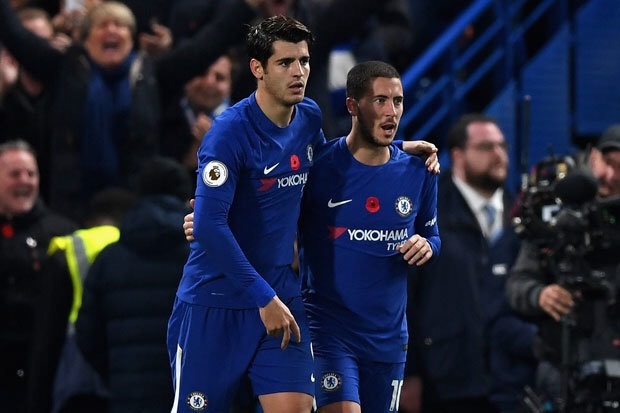 Are Hazard and/or Morata essential for the next 8 GW’s? I'll probably stick with just Morata for now. Could be more tricky than people think. 5. According to some, it’s the Chelsea rearguard that should be prioritised over the next few games. ❓Which premium Chelsea DEF is better? ❓Is Christensen (5.4m) better value and/or nailed? 6. Lukaku looks to be the player to ditch, according to many in the community. 7. Hail Cheaters size up the key questions and talk captains on their latest podcast. 8. Fantasy Football First have all the statistical analysis with the Score and Clean Sheet predictions for Gameweek 14. 9. FPL Family talk through potential sources of points in their latest vlog.
? Why not check out ep23 of #FPLFamily on your commute home? ? 10. Rotation looks to be high on the agenda. Make sure those benches are strong! I hope these Community Gameweek 14 Content highlights help your preparation. While you’re here, check out the Gameweek 14 Captain Hints and Tips, plus refer to the Form Vs Fixture Charts before making those important transfer decisions.